Heard about stand developing but not sure what it is? In this guide, we will explain everything you need to know. This method of developing should give you a fine grain negative, as well as a nice balance between highlights and shadows. Below we will explain how it works and how to stand develop film at home. Stand development is a technique that involves using a very dilute developer. The film sits in the developer for a much longer period of time than normal. There is also very little agitation involved. The aim is to have equally well-exposed highlights and shadows. The key to how stand developing works is in the way the developer works. When left to stand the developer exhausts itself in the highlights first but will continue to work in the shadows. This has the effect of bringing out more shadow detail than might be achieved otherwise. This is a very simple way to develop your film, which is why it is also referred to as lazy developing. Read the steps below to find out how easy it is. If you already develop your own black and white film you’ll have everything you need. But if you have never developed film before we recommend you read our post on How To Develop Black and White Film. There are various approaches when it comes to stand developing. It’s worth experimenting to achieve your ideal negative. The technique described here works best with developers like Kodak HC-110 and any of the Rodinal derivatives, such as Fomadon R09, Tetenal Paranol S, or Adox Rodinal. For our instructions, we’re going to use HC-110. This is a highly popular, classic developer, famously used by Ansel Adams. This is where you get your chemistry and developing equipment together. And, load up your film in your developing tank. We are going to use Kodak HC-110 as the developer. The HC-100 dilution for stand developing is 1+119. Also known as dilution G.
It is recommended that you use no less than 6ml of the developer at a time. So, for one roll, measure out 6ml of HC-110 and top it up to 720ml with water. You can process as many rolls as your tank will hold, but this is the minimum developer you need to mix up. Of course, make sure it is 20°C. Pour your developer into the tank and gently agitate for the first minute. Agitate by turning the tank upside down, then back up again. Once the minute is up bang the bottom of the tank against a hard surface. This will dislodge any air bubbles that have built up on the film. Now simply leave it to stand for an hour. Remember to get the stop and fix ready nearer the end of the hour. Now empty out your used developer and pour in the stop bath. This will completely stop the development stage. Agitate the stop for a minute. After removing your stop, pour in your fix and again agitate for the first minute. Fixing will take up to 5 minutes. That is all there is to it. You now know how to stand develop film and should now be able to see your fully developed negatives. You can compare the results to film developed with a different process to notice the variations between the methods. If you want to see some results, then check out our Film Reviews. You can have a look at some images from the roll of Kodak Tri-X 400 that we stand developed. 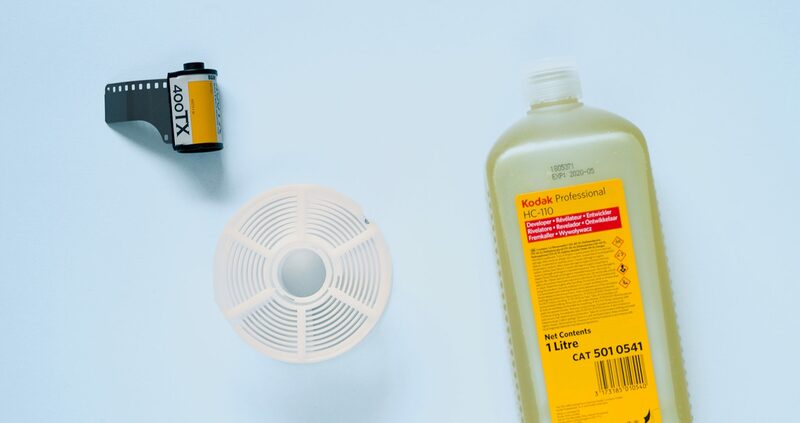 You might also be interested in our How To Develop Black and White Film and How To Develop Colour Film.